The Hobie Revolution 11 offers performance in a tidy, in an easy to store and transport package. It features the Mirage Drive 180 for hands-free propulsion in both forward and reverse. The fast-yet-stable hull features generous below-deck stowage, myriad on-deck lashing opportunities, and an optional sailing kit, giving you the ability to go whenever the mood strikes. The Vantage CT chair is completely adjustable and has 2 height options. The Revolution 11's lightweight hull rewards energy input with quick acceleration and her tight turning radius allows you to adroitly stalk fish and confidently explore reefs. Ideal for small-to-midsize kayakers. 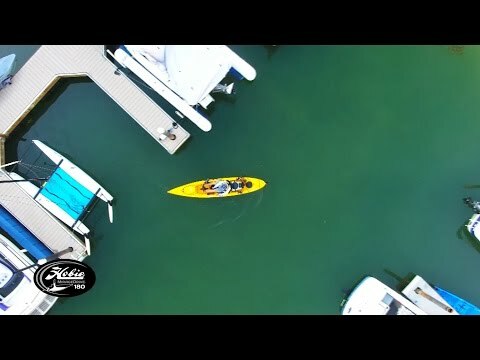 Great Kayak at a good price. Fast shipment to my home. This is our 2nd kayak from you. We love them!!! Mirage Revelation 11 is great. Bought it for my grandson who loves it. Customer service was outstanding and it was shipped fast. Haven't had a chance to try it out yet. Glad I finally took the plunge to a Hobie. I absolutely love it!! Austin Kayak has the best customer service dealt with every question and issue I had! Will not shop anywhere else for all my kayak needs!! I love these hobbie mirage kayaks. Great workouts are possible by alternating legs and arms. The pedaling makes any activity requiring hands (fishing) easy. I own four of these kayaks. The last one I received was the first with any mechanical problems (rudder would not stay in the deployed position. A quick tighteing adjustment and problem solved. I also noticed that the &quot;straight&quot; position of the rudder was not so straight at the &quot;tiler&quot;. This was also easily adjusted. I know of no other kayak with the pedaling option. Just purchased 4 months ago, but have had it out at least 50 times. It's light and easy to load on the top of the car. Have been out on Lake Erie in 2-3 foot waves steelhead fishing, and it is very stable. Have also cut though thin ice on smaller lakes. The only thing that I do not like is when the water is too weedy to use the pedals or rudder; it does not track as well as my other yak. Normally not a problem, but is a disadvantage when jump shooting ducks in weedy water. Anytime you can use the pedals and rudder it's awesome. The kayak is very quiet and easy to pedal or paddle for hours. I'm very happy with this model and would recommend. I look forward to the spring for more new fishing adventures. This is so much fun to pedal and paddle. I was surprised to find I could pack enough gear for a weekend getaway. I'm a 60 year old woman but I can still load this on my RAV4 by myself. terrific kayak for fishing, touring and a great leg burn. Solid construction, clever mechanics and lots of extras make this a fun, durable boat for multiple uses. It turns on a dime and is very stable. Might be a bit on the heavy side so wheels are necessary. Awsome kayak for a leasurely paddle on the lake or a great workout for upper and lower body. Couldnt be happier with the decision to purchase this boat from Austin Canoe and Kayak. Q: How much does the hull only weigh? Trying to understand if I could load on roof rack of small suv by myself. Looks like the hull would be similar to the Quest 11 which weights 58 lbs, right? A: The total weight of the kayak is going to be 81 lbs. This is going to be with the mirage drive and the seat. I suspect the drive and the seat weight about 15 lbs. I would guess that it is in the ball park of 65 lbs when the seat and the drive are removed. Q: Does this come with a transducer mount? It seems to be mentioned on most of the other Hobie boats but not this one. A: It appears that the Revolution 11 is still not Lowrance ready, meaning it does not have a recessed scupper for the Lowrance fish finders. Q: How about using in shallow water, How far do the fins stick out. Really want a hobie mirage drive saw one on the water and this guy was zooming across the water! Move faster fish more! A: The fins are roughly over a foot in length. Depending on the depth of the shallow waters, it is not highly recommended but it can be done. 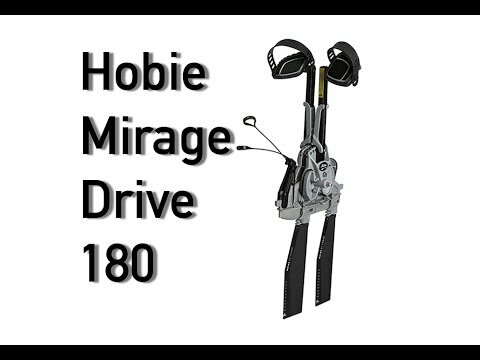 Q: I am thinking of getting a recreational paddle to go with hobie mirage revolution 11 kayak. Do you think that would be a good idea if I want to paddle sometimes. A: Hobies are great kayaks, but I would recommend a wilderness systems or perception for recreational usage.